Summer is right around the corner, and you may already have thoughts of grilling out and lounging in the sun on your mind. Now is the perfect time to take stock of your outdoor decor and see if an upgrade would help you make the most of your outdoor oasis. If you are ready to upgrade your outdoor look, consider starting with your furniture. A cushion replacement is a cost effective and easy way to add color and personality to your outdoor furniture. Re-upholstering your seat cushions rather than investing in buying completely new furniture, choosing new cushions can keep your style current and help you keep any wear and tear in your outdoor furniture nicely covered up and out of sight. One of the current trends to keep an eye out for while picking out new cushions is a mix between solid colors and geometric prints. This season will bring fewer floral and tropical outdoor prints and more geometric and linear designs. Often times, a solid color cushion will be paired with a designed or patterned ones with a completely different base color paired together. Do not be afraid to branch out and embrace bright colors for your outdoor decor this season. If you only do one thing to get your patio or deck ready for the warmer weather, consider replacing your furniture seat cushions with some bold and bright colors or patterns. Home invasions remain a prevalent issue in today’s security concerns. Not only are many Americans ignoring the fact that their home remains a security liability but they’re also inviting burglars and crooks into their property by keeping a lax frontal set up. If you feel like you are one of the many homeowners that need to tighten up their security features, then here are some tips that will definitely help keep you and your family safe. By reinforcing your door, you’re removing one of the biggest entryways on your entire home. Because burglars will naturally try to fiddle with the lock and handle, if they’re allowed to, they’ll try and kick your door in as well. 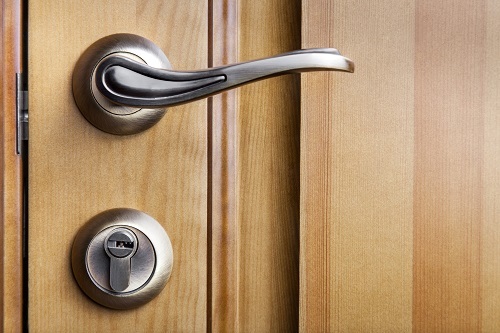 It’s important that you keep it intact by installing a solid deadbolt lock. One that extends fully into the opening of the door jamb is ideal. You can also combine that with a metal strike plate, which you can find at any local hardware store, to further increase the security. Intruders are often scared off when they have a bright light shone on them. They’re exposed and their actions can be seen. By installing a light source near the entryways of your doors, you’ll give them reason to leave your home. Be sure to install lights in the backyard of your home as well. You’d be surprised at the many ways that an intruder can get into your home. Don’t take any chances when it comes to home security. Bio: ETO Doors is a high-end door distributor. By providing quality customer service and an easy-to-navigate website, ETO Doors is a leader in their industry. ETO Doors reviews say it all, quality and customer satisfaction trump all. These days, you can buy just about anything online and save money. The same holds true even when shopping for a new door. Whether you’re searching for modern arched mahogany front doors, or you’re looking for something a bit more traditional, shopping online provides you with a wider variety and more competitive prices. When you buy direct from door manufacturers, you can compound the savings. Part of this has to do with the lack of middle man, which means no one is making a profit on top of the cost of the product. So, the costs involved with selling the door are much smaller. Couple that with the exponentially larger customer base available online, as opposed to only those that are within driving distance, and a manufacturer can pass some of the savings on to you to sell the doors at below wholesale price. One big advantage is the ability to order custom doors at a substantially lower cost. Not every manufacturer can offer this service, but you can give them your blueprints and watch your ideas literally come to life. These doors also come pre-hung, which is helpful when it comes time to install them. Double doors, customized to fit the dimensions you need with the designs you want, end up costing substantially less when you find the right manufacturer to work with. If you’re one of the many homeowners that haven’t switched over to energy efficient products, then it might be time for you to make a change for the better. 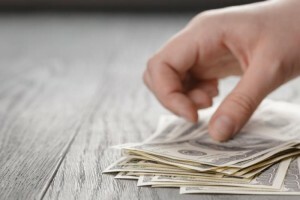 By upgrading your heating and cooling equipment, windows, and other areas in your home, you could potentially save hundreds of dollars each year through reduced utility bills. The cost of homeownership is a financial burden of its own. The fact that you have to pay additional fees can make you sacrifice comfort to lower your bill by a couple percent. 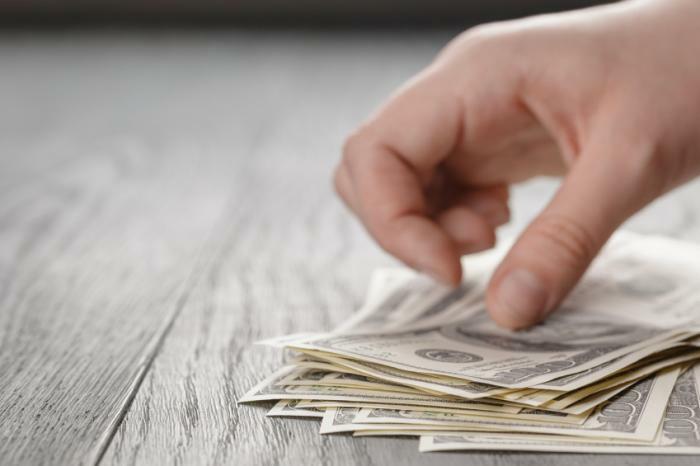 By making the switch, you’ll save a significant amount of money in the long run, make your home a healthier place to live, and even increase the resale value of your house. The opportunity for home values to significantly increase through energy efficient home upgrades has driven investors to pay close attention to “clean” renovations. For example, by upgrading your furnace and air conditioner and ensuring the ductwork is sealed properly, you could be reducing your cooling and heating costs by over 55% – depending on your climate and home construction. Also, you might not be aware that windows can be energy efficient as well. High performance windows can save up to $300-$400 per year through their specially-designed glass panes and frames. As a homeowner, you’re swamped with mortgage payments, year-round bills, and other costs that life throws at you. Take action and switch to energy efficient products to maximize your house’s capabilities and save hundreds during the process. 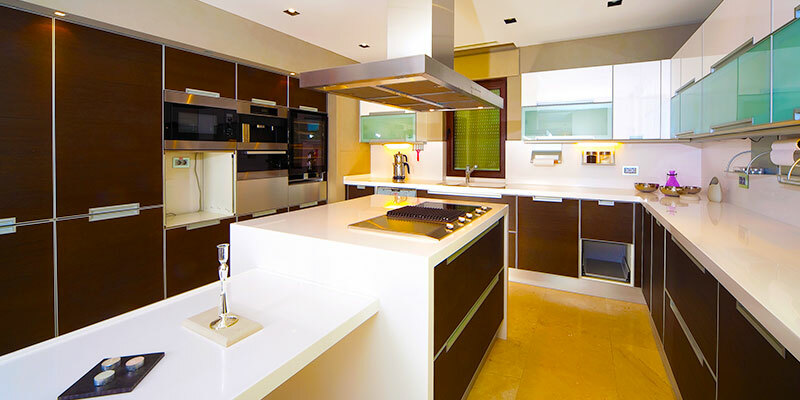 Bio: ETO Doors is a custom door manufacturer that offers a wide variety of doors for custom order or purchase online. 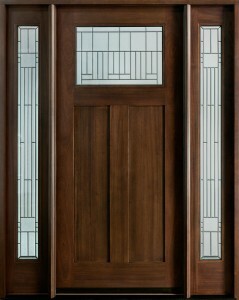 ETO Doors also offers many special features, such as hand-carved details, to provide an ideal purchasing experience. Read ETO Doors reviews, browse their selection, and more online at their website. As the year draws to a close, those in-the-know about fashion are already thinking about the future. Mainly, the patio is becoming more modern. New fabrics and dyes allow cushions to sit in the sun longer and retain their color. Improvements in weatherproofing are helping furniture to last longer, and making outdoor furniture in wicker a popular choice for the coming year. Here are a few of the popular trends that will make their way to your patio this year. Durable used to mean utilitarian, without style, but that’s not the case anymore. An outdoor wicker daybed can be kept out all year long with minimal care now that there are new fabrics on the market. Cushions also have softer weaves to them, meaning they are more comfortable all year long. Another key factor in any outdoor wicker chaise or lounge is UV durability. Wicker is one of the best substances on the planet to withstand prolonged exposure to the sun. The frame of the furniture is also made of aluminum, which is well built for nearly all weather conditions. If you do need to move your furniture, the aluminum frame will make it easier to do so. Another reason why wicker is in right now has to do with the price. Modern wicker furniture is made of high-quality resin or polyethylene, so it’s affordable and stylish. The materials are lightweight, so owners have many options to position and move them throughout the year. You can literally have a new back yard each time guests come over. Your home’s interior design should truly reflect your vivid lifestyle. If you’re starting from scratch take a notepad and start sketching out a rough drawing of what you want your central theme to be. It doesn’t have to be perfect; it should only serve as a visual and as a foundation. How large is the room that you’re designing? How many interior doors are connecting to other rooms? What theme are you planning? These should be only some of the things that you should be asking yourself. The good news is that once you’ve planned out everything, the rest should fall into place quite easily. Interior door styles can make a huge impact on how well the room coordinates with each other. 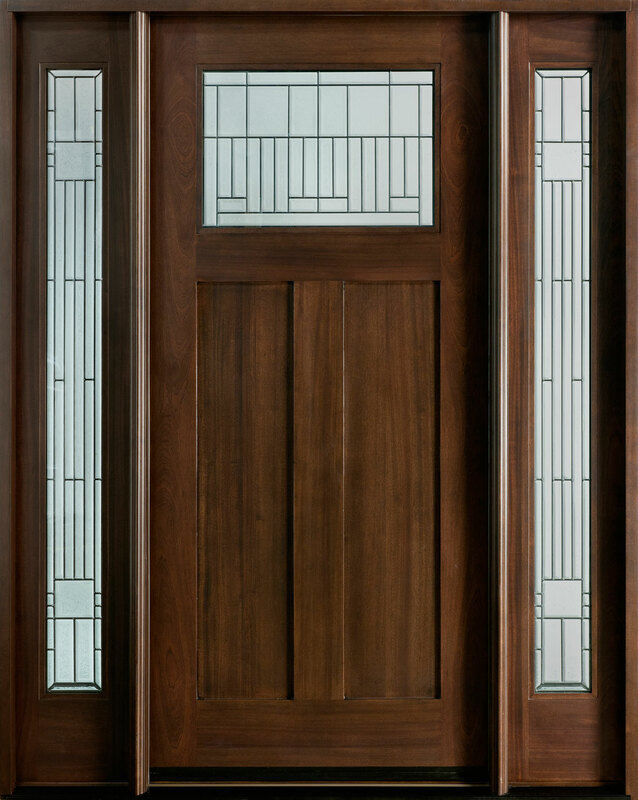 There are a variety of different door styles ranging from six-paneled doors to the creative glazed doors. Consider expanding your main room into other rooms by installing a French door to improve the flow and cohesiveness amongst each room. Once you’ve taken care of the walls, the doors, and the layout, the only thing left on your checklist is to fill in the gaps with furniture and other objects. Now this is where you’ll be able to let your creativity flow wild and establish a pattern that you’d like to see every day that you enter this room. Certain visual aspects like decorations or paintings can enhance the visual quality of a room and even make it feel more comfortable and relaxing. Bio: ETO Doors is a leading supplier of name-brand residential, commercial, and garage doors. If you’re looking for that perfect interior door that’s crafted with the highest regard, look no further than ETO Doors. If you are looking to remodel your home or are building a brand new home from scratch, one of the most important parts of the entire façade is the front door. With a dizzying amount of door styles to choose from, you’re going to want one that compliments your home. Because these doors play an essential role in improving the aesthetics of your home, they also have other uses besides being a gateway to the inner part of your home. Front doors can make a household more comfortable by controlling the amount of light that enters as well as controlling air currents. Because the security of your home should be a priority, you should find a door that’s sturdy and stays securely in place. There are a variety of factors that can influence your decision but once when it comes down to it, you’re going to want to choose the door that fits the exact purpose that you have in mind. Take a look at the exterior of your household. What type of theme are you aiming for when it comes down to the design? Do you want a modern-looking exterior coupled with a modern front door? Do you want a more classical approach to your home? These are some of the questions that you need to ask yourself when you’re remodeling your home. It also helps to look around the Internet for ideas as well. There are plenty of portfolios available online that you can check out also for free. Make sure that you look for a specific door that meets the requirements of where you’re located at. Is it dampening the noise of the surroundings enough? Does it need additional layering to keep your house more insulated? Certain doors are designed exactly to fit those requirements. Modern doors are just one example of the type of door that you can install for a more stylistic approach. Many “modernized” homes have a strong architectural presence within them. The interior’s design is focused on an open-aired, chic approach. These days, interior designers are starting to create more modernized homes as they are rapidly gaining ground in popularity. A grand way to express your personality is through a modern-styled home. You’d be surprised at the vast amounts of creativity that’s put into these styled homes. One of the changing trends in this day and age; these are only one of various styles that you can choose out of. ETO Doors is a producer of high-quality doors that are made to withstand the elements. If you want hip and stylish modern doors, then check out ETO Doors’ inventory today. Securing your front door with a high-grade lock or a reinforced jamb is one of the most important preventative measures that you can take against burglaries. Many standard doors that come straight from the factory aren’t equipped with a secure lock – especially the ones on the lower end of the price tag. Also, many hollow doors can be easily broken into due to the core’s fragile nature. If you’re going to beef up your security, consider replacing the door locks with something a little more “burglar-proof”. The deadbolt strike plate can be replaced for a stronger box strike model, which will improve the door’s ability to withstand high amounts of pressure. A standard strike plate might only be sturdy enough to hold the door shut. With a forceful kick, it could easily give way, allowing the intruder to enter your home. Replacing the door jambs can also provide an additional layer of toughness to your doors. Door reinforcement kits are also useful in that it will help prevent door frames from splitting, making it harder for a burglar to kick in your door. Hollow-cored doors are not meant to be used as entry doors. There are little layers of wood that stand between the intruder and your home. If you want a more secure door and something that will provide more resistance, look into a hardwood door or a steel door. If you want maximum protection, hurricane-rated doors are solid options that won’t crack under pressure. Bio: Each member of ETO Doors staff has been thoroughly trained and is a knowledgeable door professional. ETO Doors three hundred thousand square-foot state-of-the-art facility located in downtown Los Angeles includes the latest pre-hanging machinery available in door technology today. All the ETO Doors reviews available online demonstrates the top customer service and quality that they provide. For many business owners, having the right type of packaging material can be a great asset and can even be a key to success. If you’re a company that ships out products, then you understand that damaged goods done through transit and exportation equals to a revenue loss. When you’re looking for the right foam packaging for your products, you have a variety of options that you can choose from. High density foam sheets, polyurethane and polyethylene foam are just some of the packaging materials that you can use to protect your precious goods. There are also some factors that should be considered when choosing your packaging material. Some of them include: how fragile your shipped items are, the transportation conditions, and product accommodations. This means that if you’re shipping fragile dog beds from Canada, you’ll be more inclined to buy an open-cell foam to ensure its’ safe arrival. It’s important to find customized packaging foam that’s accommodated especially for your product. Different types of foam are suited for certain types of products. Take some time to get to know each type of foam so you know how you can utilize each one as well as finding the one that is best suited for your items. If you’re planning on going with the cheap standard foam inserts, there’s a chance that it get to its’ destination completely damaged. It says a lot to a customer as well when you ensure that their package arrives unscathed. This can be great for customers that deeply care about the quality that their item arrives in. Bio: Foam Factory, Inc. has foam for all your needs. Everything from custom cushions to packaging foam, you’ll be sure that you’re buying quality when you’re buying from Foam Factory, Inc. If you are looking to find a replacement for your old obstructionist wooden door, a French door could be perfect for you. Their minimalistic design and open-air feeling will transform any room into a beautiful space. 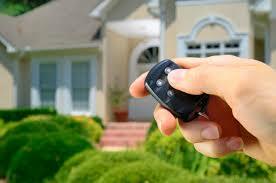 Plus, they will enhance a home’s curb appeal, whether you use interior French doors or exterior. 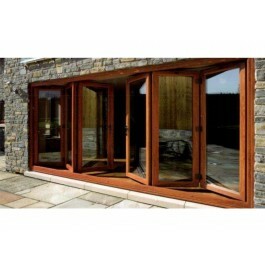 French doors are great for patios as homeowners can have their garden or lawn be a focal point. The combination of windows and doors allows sunlight to freely enter a space. Interior French doors can act as a visual bridge between two adjacent rooms and can even replace a wall in some cases. Many people enjoy the open look that it brings and say that it lowers the claustrophobic feel that small homes can give, especially when there is a lack of windows. Front doors with glass panels often fill wide openings and enhance the flow between rooms. A room that could be separated by a thin wall can be replaced with a French door to expand the sense of space between rooms. Versatility and congruency are two traits that make these doors so popular in design. Because of the delightful visual appeal that French doors give off, expect them to have a heftier price tag than other doors. Often considered a smart investment, homeowners that plan to put their house on the market can see a jump in its value due to its upscale appearance. If you are skilled in carpentry and adept in installing doors, you can skip hiring a professional to save money. Historically, French doors haven’t been a common option to be used as a front door because of the ability for an outsider see through to the inside. It wouldn’t be hard for an intruder to depict whether or not they want what’s inside your home. Recently however, a stronger and more durable insulated glass has been developed. French doors are not recommended for areas with hazardous weather conditions. Although many French doors have been improved over the years, areas that are prone to hurricanes and tornadoes can pose as a huge threat to a household. This doesn’t mean that you can’t purchase a French door if you reside in an area with these conditions. Hurricane shutters are available and can be easily rolled down in the case of an emergency.